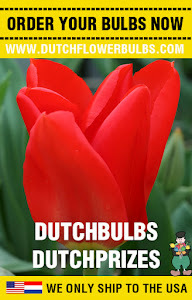 When thinking about flower bulbs or the Netherlands, most people would say Tulips. Whenever you go to The Netherlands, there is no chance you won't see Tulips. Because tulips are one of the most popular flowers in the world. But how is the Tulip discovered and how do you take care of them? In this article we are going to give you some information about the tulips. The name Tulip comes from Tulipa, this is Latin for 'the flower that looks like a turban'. It is such an odd name, but not if you know that Tulips where grown and traded in Turkey. This was during the Middle Ages and the men those days wore turbans. Around 1550 was Turkey a powerful country, with a rich sultan named Soeleiman. He had a whole garden full of Tulips because Tulips were really expensive those days, He was very careful with his bulbs and only gave the bulbs away to special guests. Including Sir Busbecq, this was a nobleman from the Neterlands. He gave the bulbs away to Carlos Clusius, an emperor from Austria. Clusius moved later on to Holland and became professor of the University of Leiden. He never sold his bulbs, but one night someone stole his bulbs and sold them. This was the beginning of the bulb trading. In the beginning only the rich people could afford the flower bulbs, so it became a really status item. Lots of people toke the chance to sell bulbs for ridicously prices. This was from 1634 till 1637 and than the government stopped the high prices of the bulbs trading. But the interest in flower bulbs became bigger and bigger, also across the borders. 100 years later were bulbs still a special thing, but nowadays you can buy them anywhere. 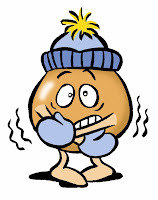 Tulip bulbs should be in the ground for at least 6 weeks till the first frost. This way they can develop their roots. 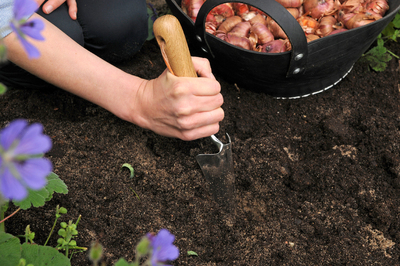 Plant tulips bulbs in light soil and don't use soil where water can't flower away. Tulips don't like to have wet feet. Add 3 parts of sand to one part of regular earth. 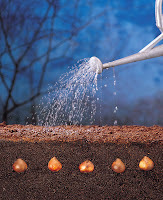 Tulip bulbs need water to develop their self so if you have the chance, make a good drainage system. 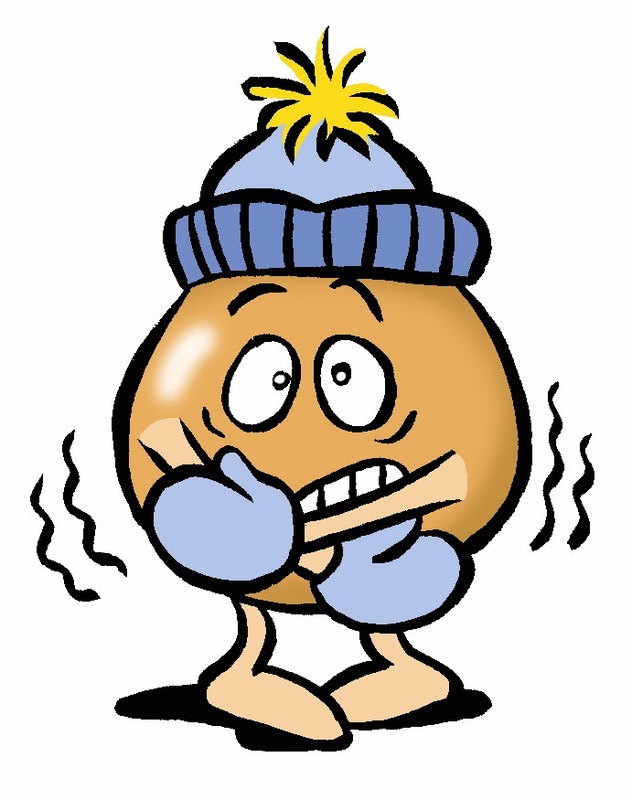 In times of frost, cover up your ground and bulbs against the cold. Choose a sunny till to semi-shaded area, depending on the type of Tulip of course. - Make a little hole for the bulb (there is a special tool for this if you think that is easier, check your local garden center or check this website: www.gardentalk.com ). Place the bulb in the hole with the pointy side up, so the roots are in the ground. 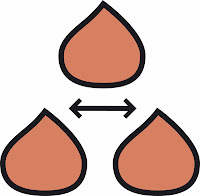 - There is a rule how deep you have to plant the bulbs, no matter what type of flower it is: Bulbs should be planted three times as deep as it's own height. So if a bulb is 2'', then you have to plant it 6'' deep in the ground. 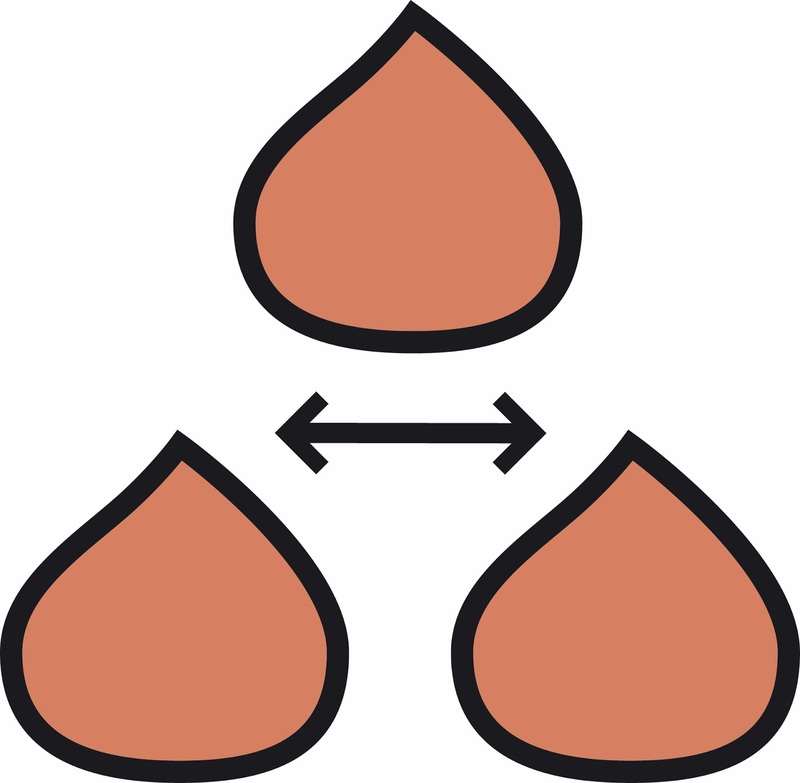 - Plant tulip bulbs always in group, this will give the effect you always see in show gardens. - Keep a distance between the bulbs off 3/4''. - Sprinkle the soil back into the holes and pack it down with your hands. Make a flowering schedule of your tulip bulbs. Some bulbs will bloom at the beginning of Spring, while some bulbs bloom late Spring. 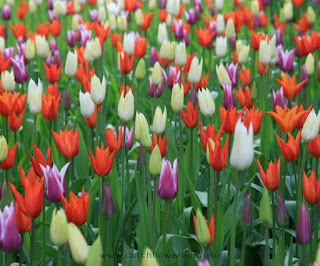 So if you can plan this right, you can enjoy the whole Spring of your tulips. - Most tulip bulbs are perennials, this means they are able to come back multiple times. Most of the times the bulbs contains nutrients for only one year. 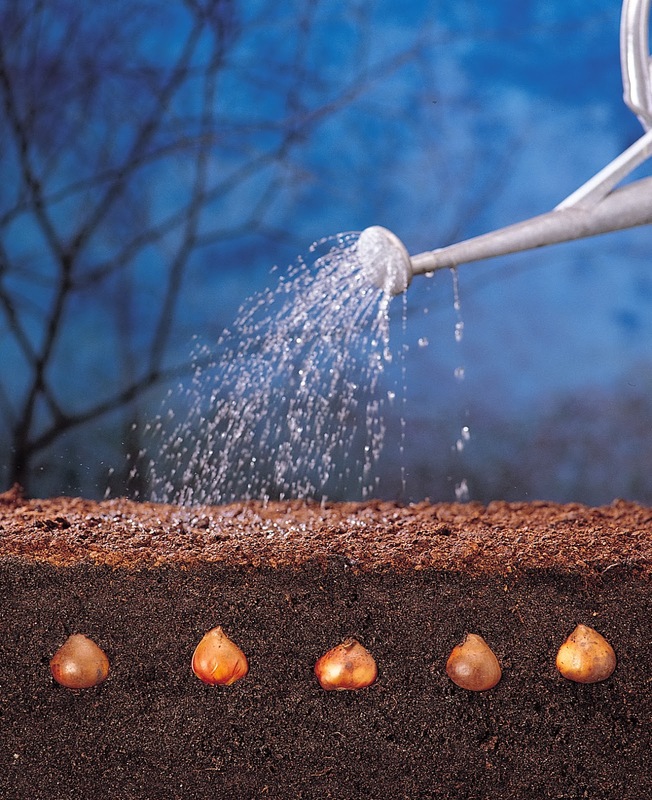 If you want your bulbs to come back next year, place some nutrients in the holes before you plant the bulbs and then close the whole. - When you ordered bulbs and receive them at home, make sure you plant them within a week.